FESPA Exhibitions Director Roz Guarnori comments: "Our 2020 Global Print Expo falls earlier in the year than usual and takes place in a venue and host city that will be new to most exhibitors. 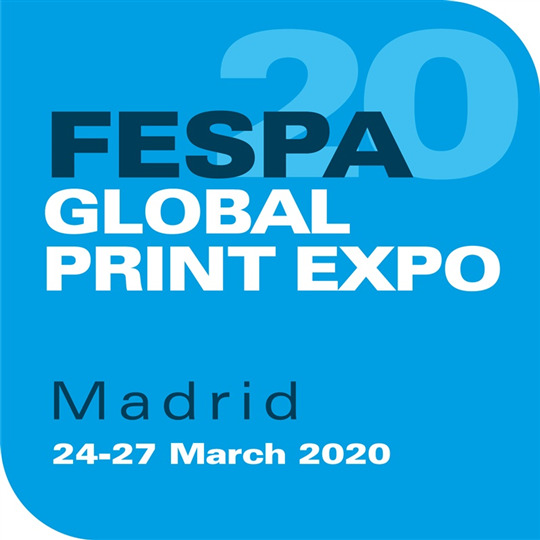 By launching the FESPA 2020 website a full year out from the show, we’re aiming to support our exhibitors by giving them as much time and information as possible to maximise the success of their participation in Madrid." FESPA Global Print Expo 2020 will cover all aspects of screen, digital wide format and textile printing and will again be co-located with the European Sign Expo for non-printed signage. For further information, visit www.fespa2020.com.